Optimally designed to aid in assembly, maintenance, and repair work on large engines, ROI’s rotating stand allows operators to easily manipulate the workpiece into the desired orientation and height using simple, ergonomic push-button controls. 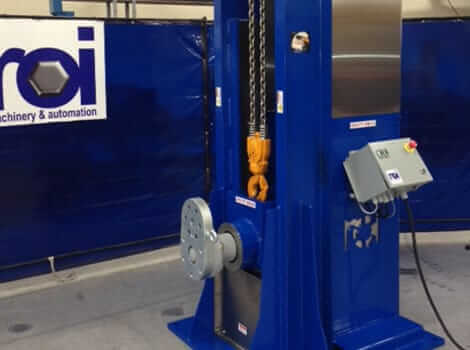 With a robust mounting bracket and industry-leading safety standards, our rotating engine stand is a great option for any facility specializing in engine work. 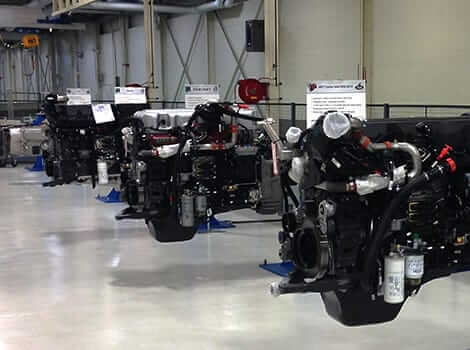 Ideal for working on heavy-duty diesel engines, ROI’s diesel engine stands are perfect for any facility looking for flexible assembly, maintenance, and repair work options. The stand gives workers the opportunity to manipulate equipment as needed, including unique height options and ergonomic controls. The user-friendly interface and adjustable options are ideal for facilities looking to streamline the way they work on diesel engines.